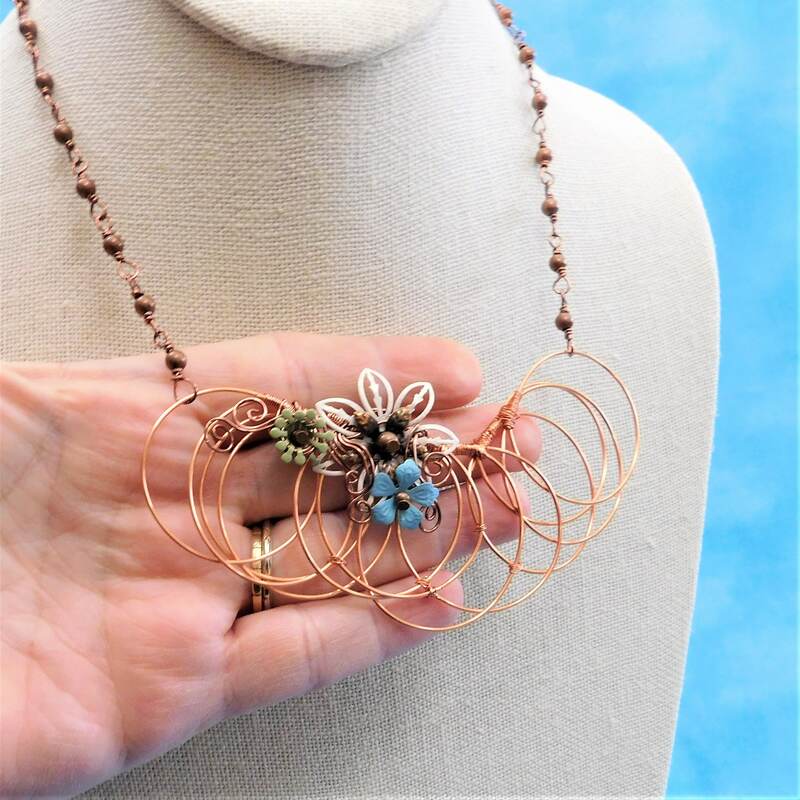 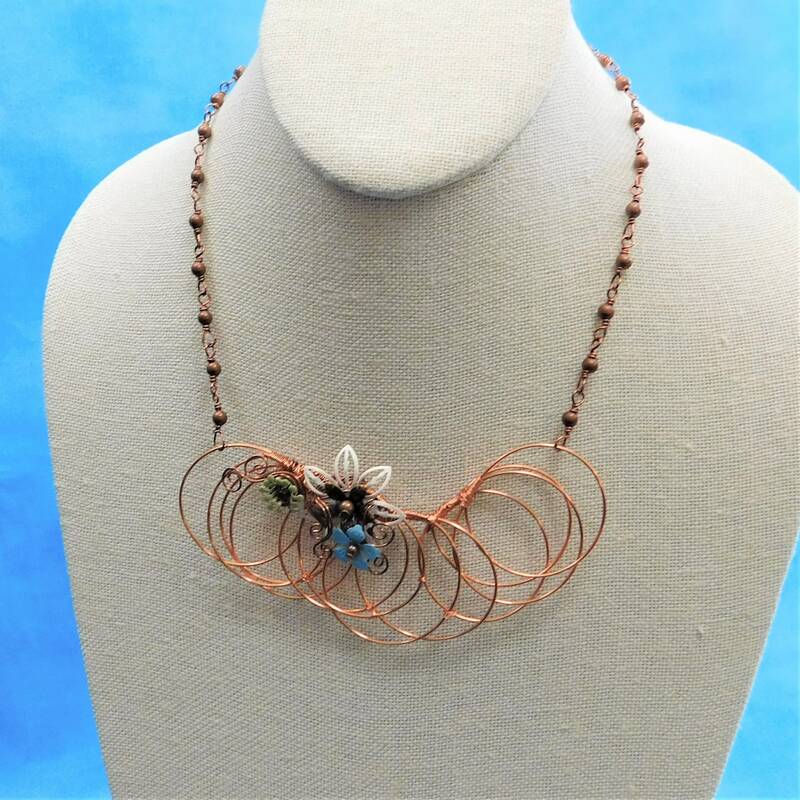 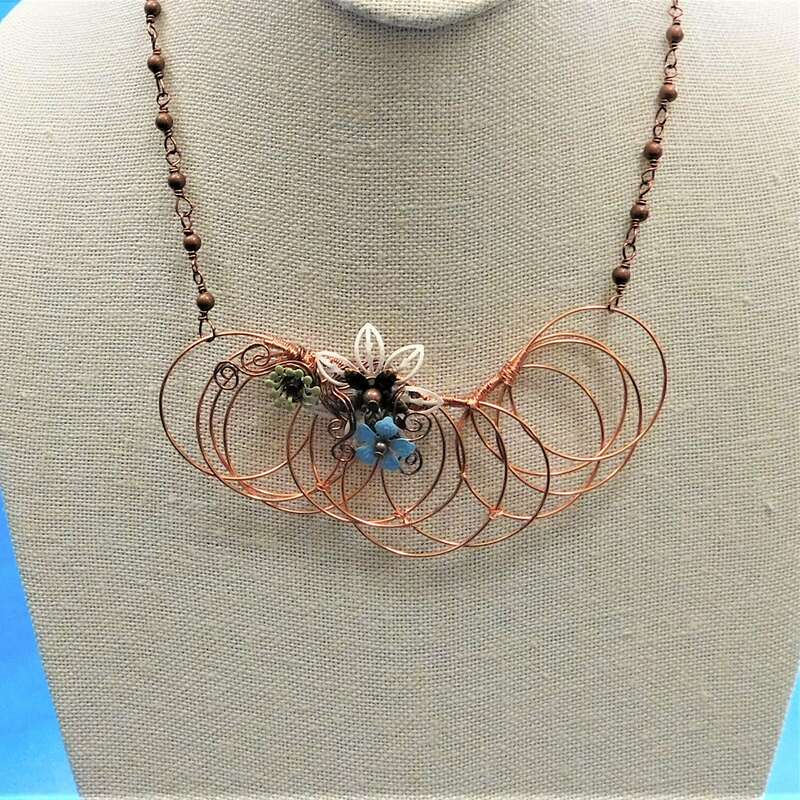 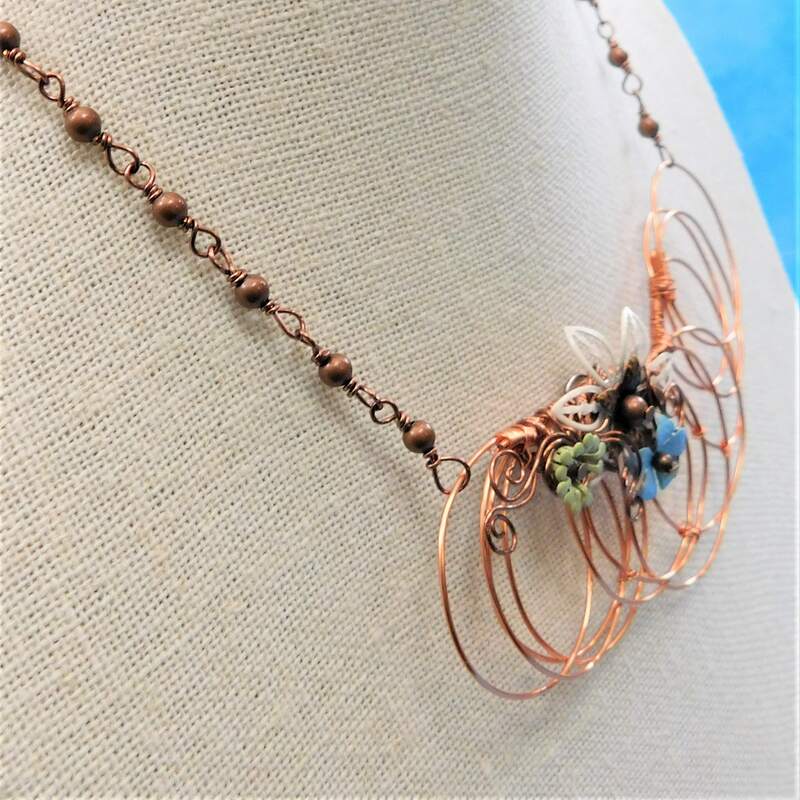 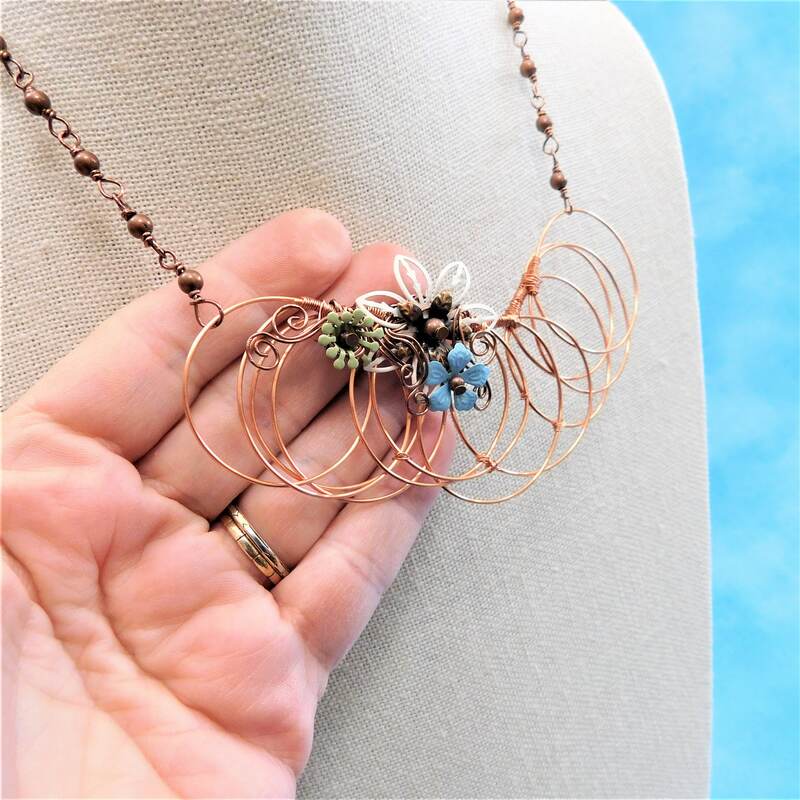 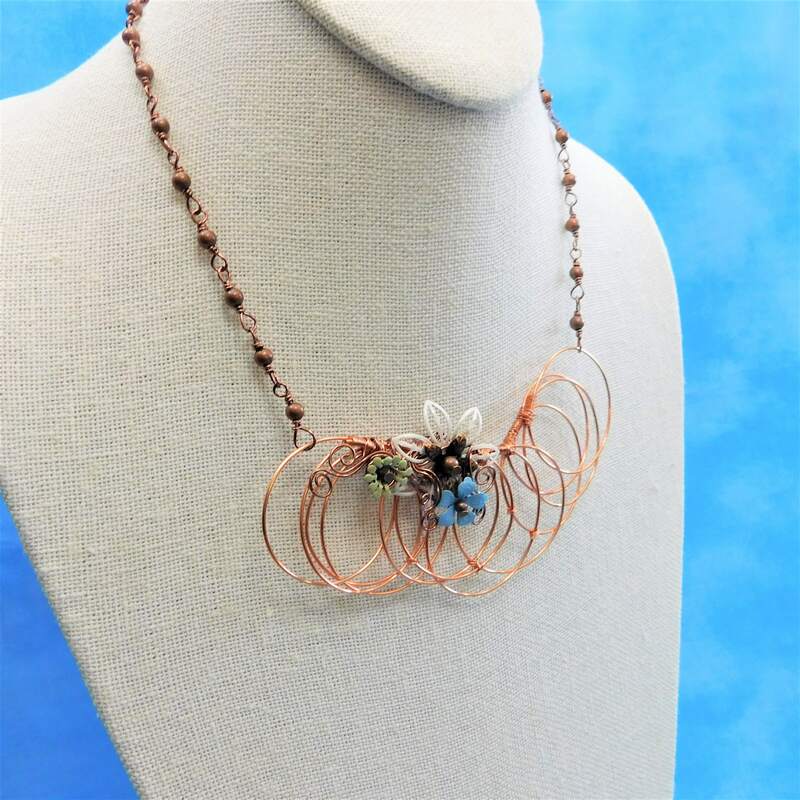 Non tarnish natural copper wire is looped in a series of circles and wired, to create a unique bib and enameled metal flowers are added to embellish the loops. 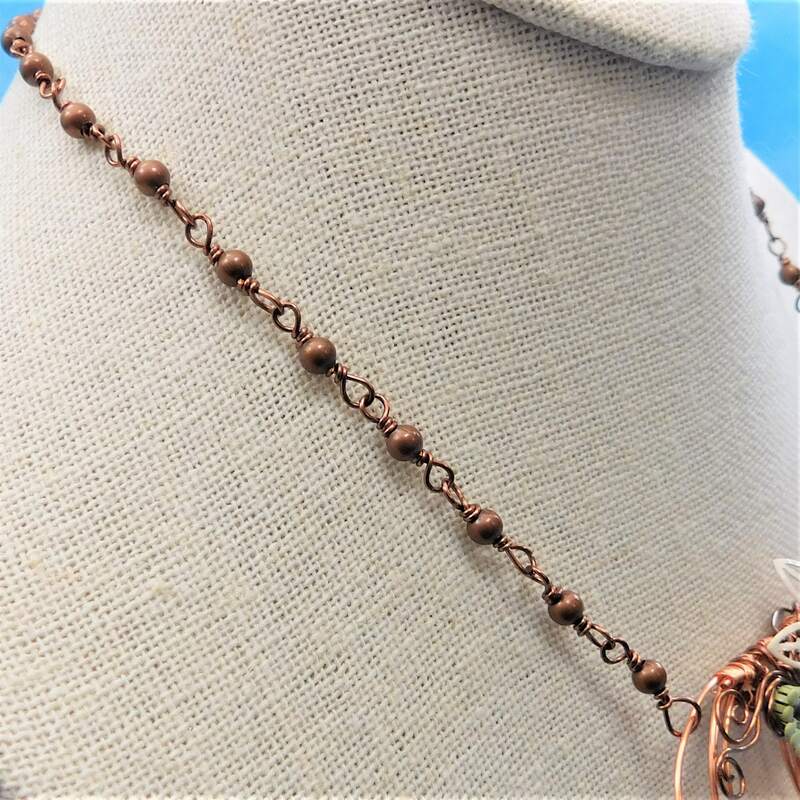 A chain is created using Small round copper beads that are hand wire wrapped together and finished with a lobster claw clasp. 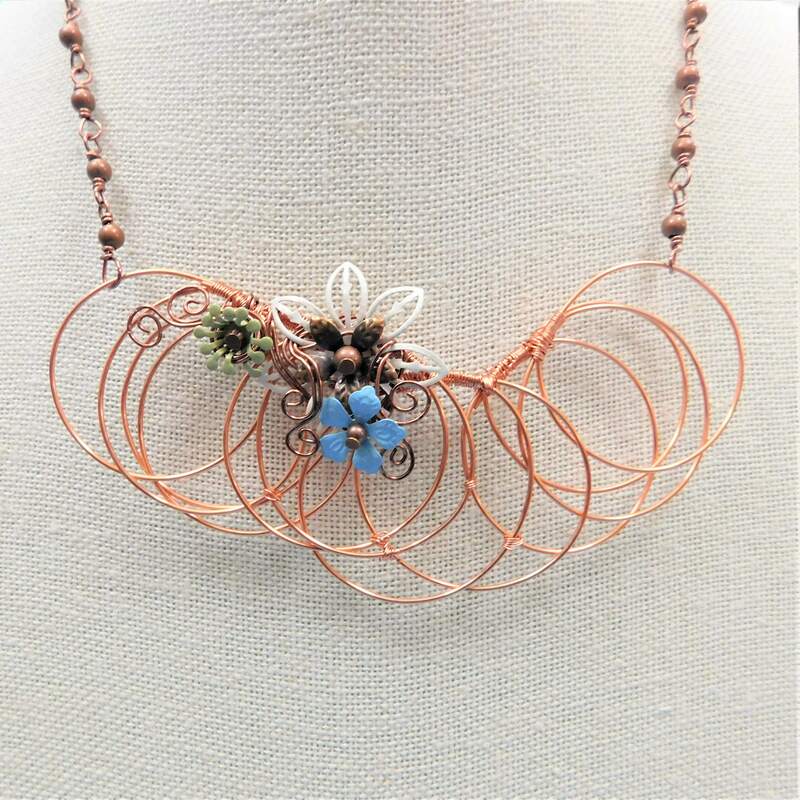 The necklace was created with only pliers and patience and will be a unique addition to the jewelry collection of any special woman. 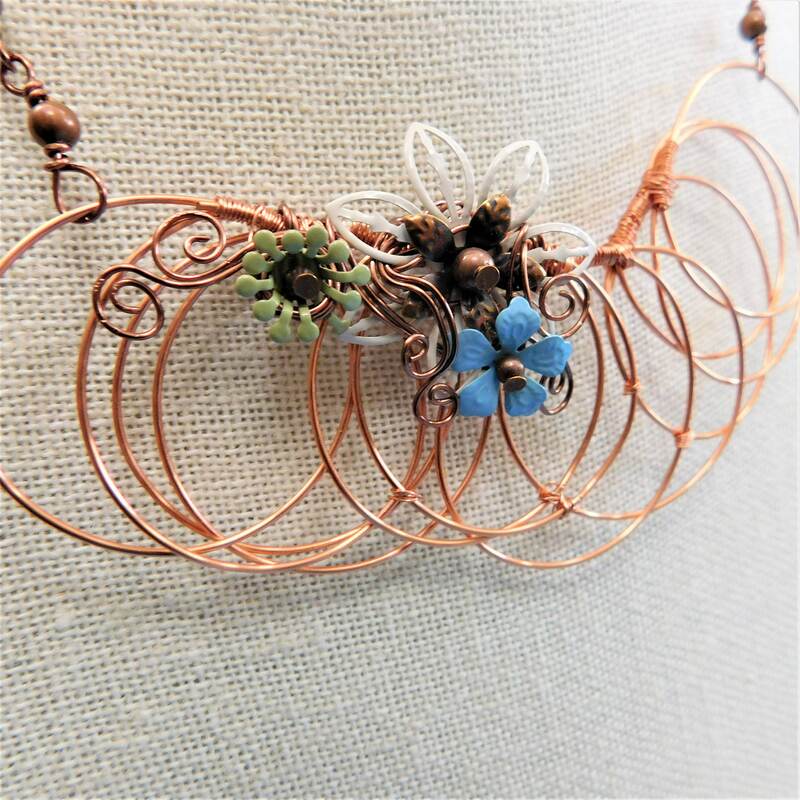 The bib measures 4 1/2 inches. 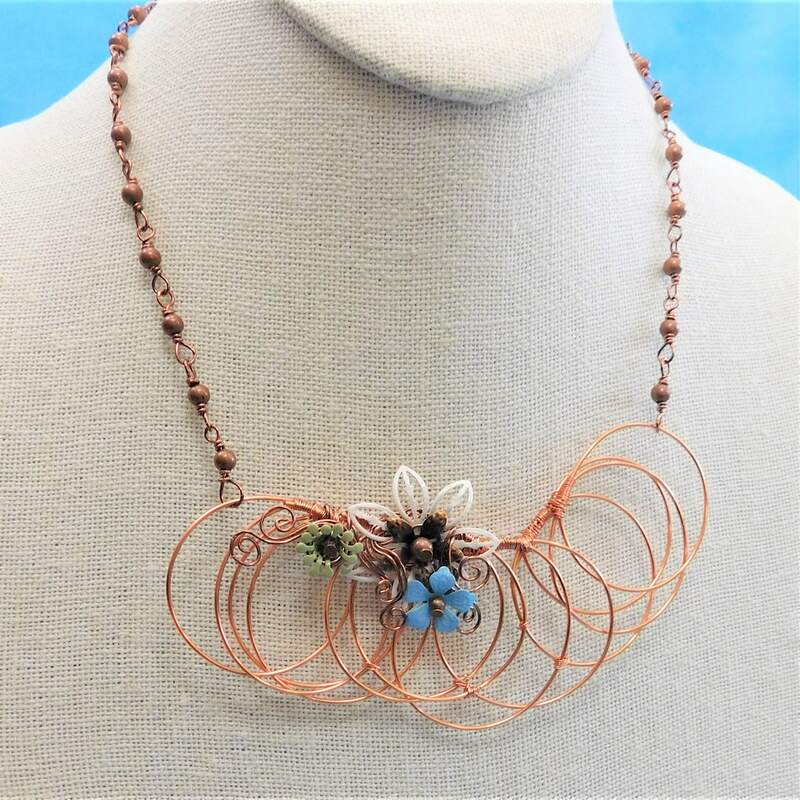 The beaded chain measures 9 inches on each side of the bib, for a total of 22 1/2 inches from end to end.